It’s not uncommon to see houses for sale in OG for over $1 million; or smallish houses for over $600,000. It is a sellers’ market, but what are the factors that produce this effect? a. 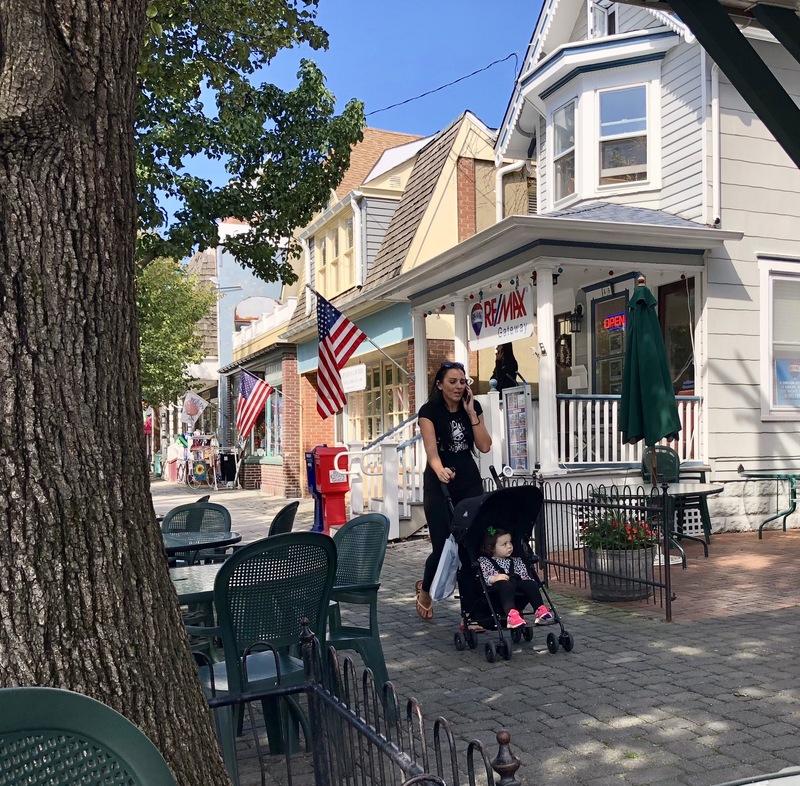 Real estate near the ocean at the Jersey Shore is always valuable, and Ocean Grove has been discovered, with increased interest from out-of-staters. b. New Yorkers love it because it is a short distance away (about 1 1/2 hrs from the City.) OG is a walking town with sidewalks and a porch culture. It has an urban feel. Prices are still lower than other trendy options such as the Hamptons. The town used to be called “Ocean Grave” but now it seems hip. c. Lifestyles are blooming thanks to blossoming demographics: young families, kids, teenagers and sophisticates. But also, many are attracted to the quietude in town–much less raucous than some Jersey Shore places. d. Proximity to a successful Asbury Park will cause demand for OG housing to go up, along with prices. OG provides relief from the rollicking feel of A. Park. Just walk back and forth—- from one definition to the other. e. Public transportation brings us options with the trains and the buses within walking distance. f. More old homes are being restored by enthusiastic buyers with money. The town keeps looking even better. More of the trappings of wealth are seen including fancy cars despite the absence of garages. 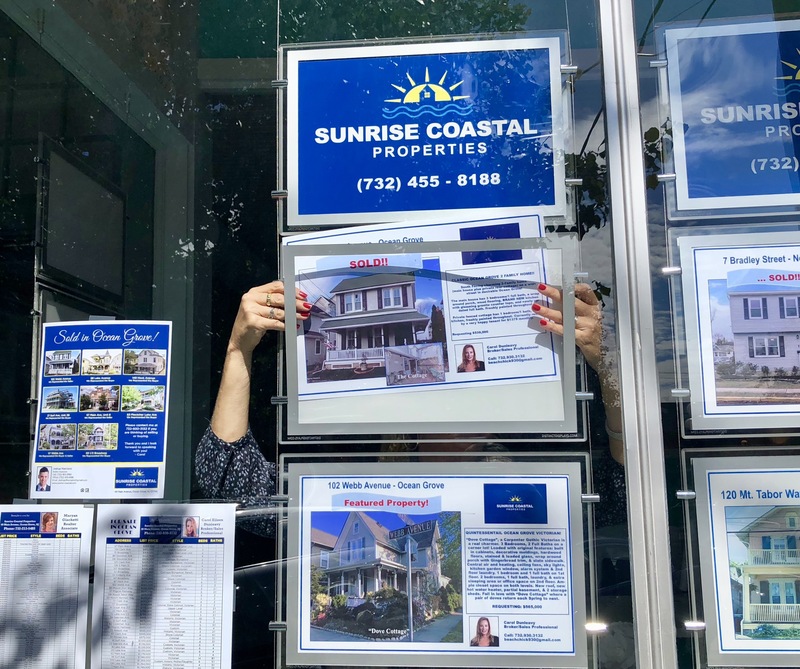 g. As the values of houses go up, another side effect includes rising rental rates, something that the Airbnb folks and other renters appreciate, and that creates another burgeoning market for OG houses as investments. h. Owners of buildings with shops are raising rents, which will influence the types of businesses which will open here. A New York company bought the pizza building and drove out all the businesses with very high rents. Can we use some more realtors and lawyers in town? All the hype creates a smokescreen which hides the variety of problems here. Buyers beware! Realtors won’t share that information. Check Blogfinger for la vérité. All bad news for people who don’t want to sell. By the way where are these “hip, sophisticates?” All I see are entitled people making noise, garbage all over the streets, overgrown weeds, unpicked up dog poop, formerly charming Victorians turned into open concept with IKEA décor and a steady stream short-term renters. Hmmmm, maybe that’s what hip, sophisticates are.